I just wrote a piece putting Tesla’s H1 2017 sales into a bit of perspective. At the end, I started getting into Tesla sales versus gas vehicle sales in the Model S and Model X classes, but then decided this topic deserved its own piece. Aside from looking at sales in the first half of 2017, I wanted to jump into sales in the first half of 2016 and how sales of these various models changed from H1 2016 to H1 2017. Since Tesla doesn’t report sales by country/region but CEO Elon Musk has said on a few occasions that US sales have been about half of global Tesla sales, I’ve essentially run with that for my estimates. Note, though, that it’s been a while since Elon has said anything about how sales are split. The other figures come from Good Car Bad Car (thanks for compiling the data, dudes). 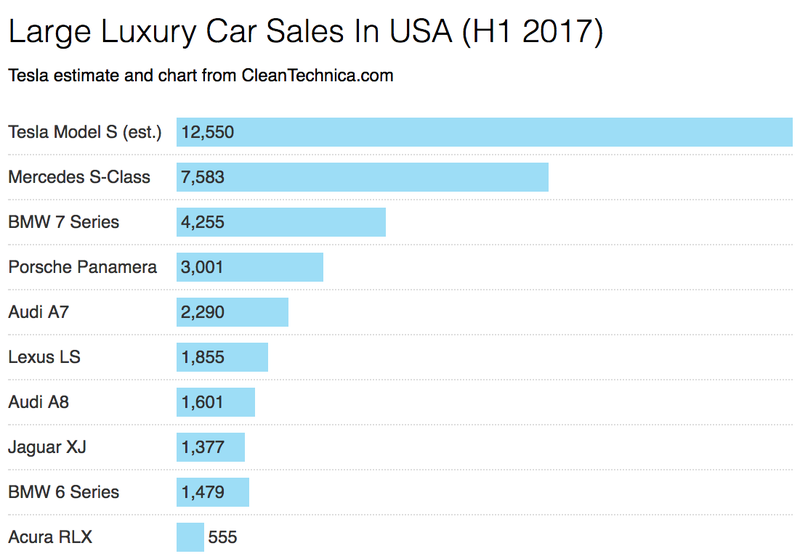 One more thing to note before jumping into the numbers is that I’ve broadened the competitors a bit beyond the size of the Model S and Model X since there’s extremely limited choice in the luxury electric car market. 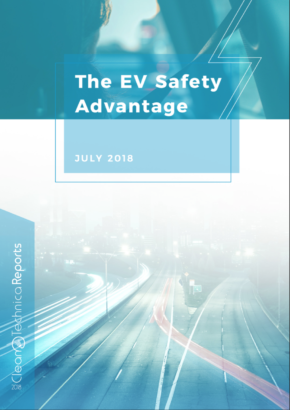 Electric vehicles are very different animals from gasoline cars and many buyers choose them specifically because they want zero-emissions cars, independence from oil, and/or instant torque. Tesla Model S buyers range from people who would like an Audi A6 size car to an Audi A8 size car but basically just have the Model S to choose from in those general arenas. The topic is actually much more nuanced and complicated than simply throwing the A6, A7, and A8 together (Tesla pulls buyers who previously had anything from a Honda Civic to a Lamborghini), but we don’t have all day to discuss these matters and you get the point. The first key takeaway for me from looking at those numbers is that all of these models have seen their sales decline year over year except the Porsche Panamera and Tesla Model S. It has been a similar story in recent years as well. Does the Model S just keep pulling buyers away from these conventional large luxury car models? That seems likely, but it’s surely not the only thing at play. On that note, though, an experience I had this week comes to mind. 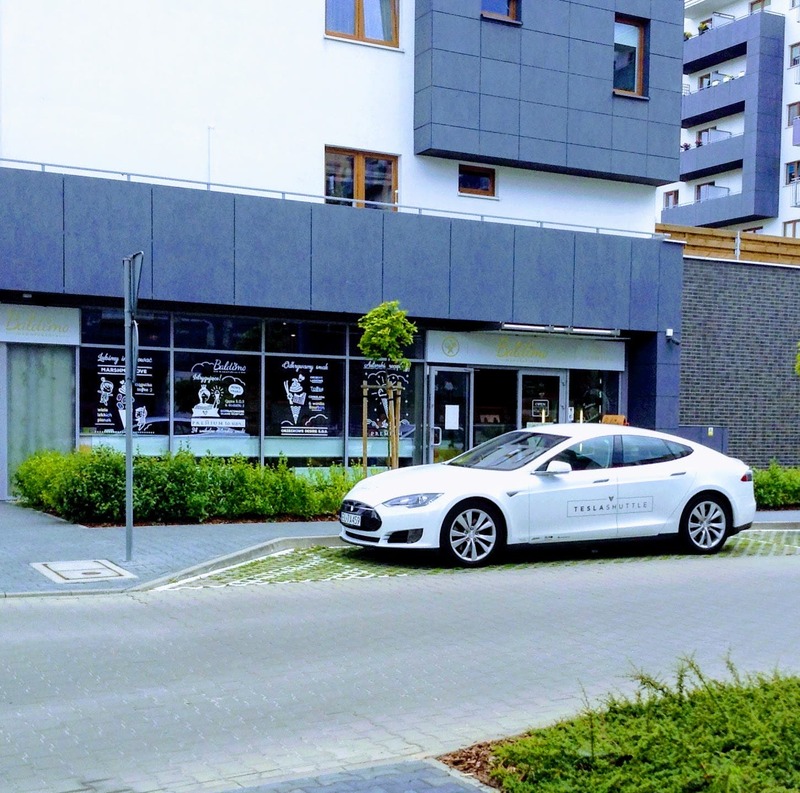 A few other guys and I recently got a Tesla Model S 85D for a European intercity Tesla Shuttle service we’re launching. The Model S was sitting outside of the coffee shop I call my office yesterday and a couple of super fit guys were taking a close look at it. I came over and offered to open it up and let them poke around. They were impressed — seriously impressed. It was cooler, had higher tech, had more range, had more space, and was quicker than they expected. The navigation screen stood out as huge — something you can just never capture in photos alone. Talking to them for a few minutes and then scanning the parking lot, I soon found out they had very luxurious and high-powered new Mercedes (a large sedan and an SUV). 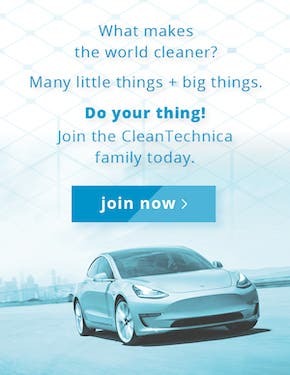 From an initial show & tell, despite probably no concern for the climate or air quality, I feel like they opened their eyes to the possibility of getting a Tesla down the road instead of another Mercedes. Who knows, but I told them we could go for a drive sometime, and I have a feeling that’ll make them think much more about the switch. The point is: I wonder how many stories like that occur every day. A lot of people had their first Tesla experience yesterday. A lot of people had their first Tesla experience today. A lot of people will have their first Tesla experience tomorrow. Those experiences are by and large eye-opening introductions into a whole new world. Another dramatic point from the table and chart above is how far ahead the Model S seems to be. Even if you add up Audi A6, Audi A7, and Audi A8 sales, they don’t get up to the Tesla Model S sales estimate for 2017. 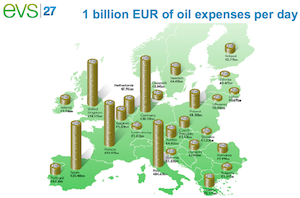 It looks even worse for the old automakers if you add up BMW 7 Series and Mercedes-Benz S-Class sales. Adding up Audi A6 and Mercedes-Benz S-Class sales is the only way to actually get two models to surpass Model S sales. 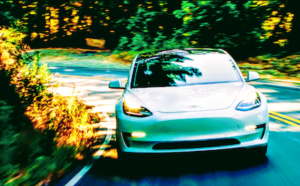 What will the story be when Tesla Model 3 production and sales ramp up? Will Audi A6 sales get demolished even further? Will Tesla awareness skyrocket, leading to even more Model S sales? Will Mercedes, BMW, and/or Audi have to shut down certain models (or even worse)? 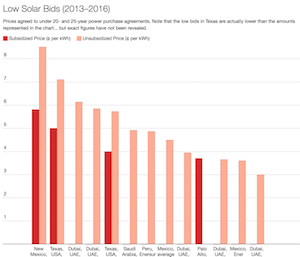 Or perhaps Model 3 sales will hurt Model S sales? I’m guessing the first three possibilities will come to fruition but not the last one. I think Tesla’s main Model S demand softener right now is simply lack of consumer awareness. 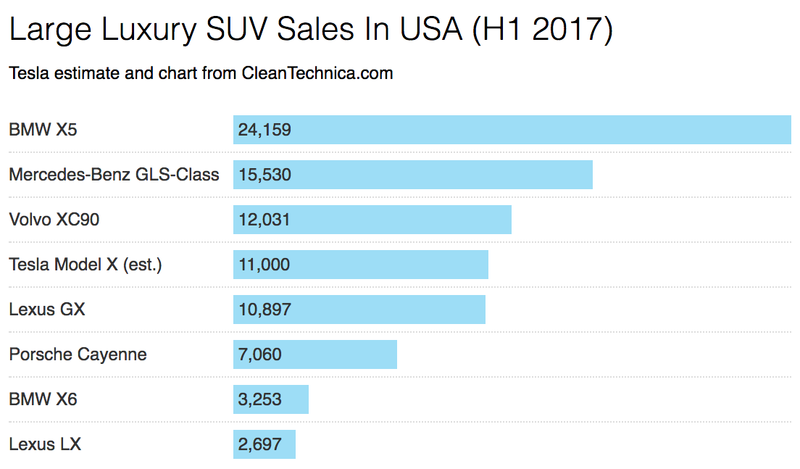 The Model S story is a bit better than the Model X story at this point, but I think the Model X has at least as much potential down the road, and sales aren’t too shabby so far in 2017 either. 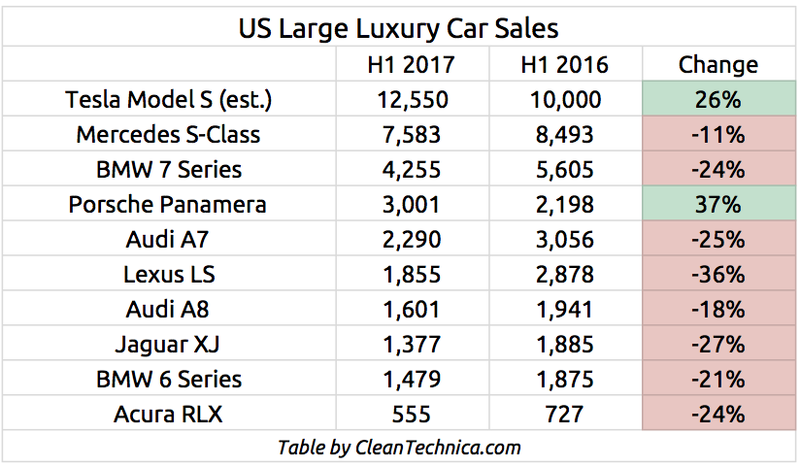 The Model X is not on the top of the chart and isn’t eating everyone’s cake like a greedy Silicon Valley rich kid, but it’s in the #4 spot according to my estimate and already ahead of every large luxury SUV other than the top choices for BMW, Mercedes-Benz, and Volvo. As far as the other models in the chart above, it does seem likely that BMW’s and Mercedes-Benz’s large SUV sales are up because of a consumer shift toward SUVs and away from sedans, which also helps to explain their seemingly continuous decline in sedan sales. Perhaps there’s something else at play here as well that I’m missing, so let me know if you know something I don’t. In any case, though, looking at these numbers and considering the Model X’s youth (it’s essentially 1 year old), I have to presume that it will see strong growth again in H1 2018, and I wouldn’t bet against it getting into the #2 spot. As noted above, I think there’s also a strong chance that tens of thousands and then hundreds of thousands of Model 3s hitting the roads will end up raising the population’s awareness of Tesla and will stimulate even more Model S and Model X sales. If that ends up being the case, how will these tables and charts look in 2018, in 2019, and in 2020? Big dogs, you better hold onto your collars, because you may end up lost and confused within a few short years. 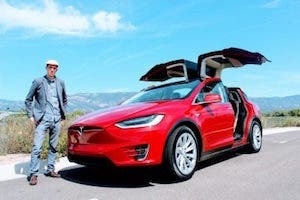 Update July 9: This article has been updated to correct a couple of typos and to remove the Audi A6 and Jaguar XF since they’re a class down from the Tesla Model S.